As Spain’s second largest city and the capital of Catalonia, Barcelona is home to the 1992 Summer Olympics and unique architectures. 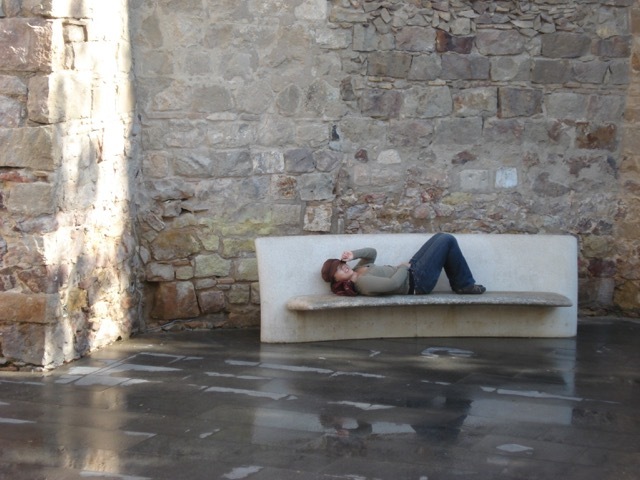 Winter months can be a lovely time to visit Barcelona, provided the chance of rain is low. 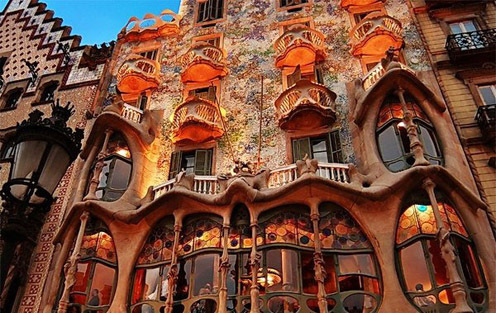 Throughout the city, Barcelona features work of architect Antoni Gaudi. Gaudí’s first works were designed in the style of gothic architecture and traditional Spanish architectural modes Eventually he developed his own distinct style, incorporating nature’s angles and curves into his designs. Hang a right from the hotel then head north on Passeig de Gràcia. Walk one block to Carrer de Provença to Casa Milà. Officially completed in 1912, this UNESCO World Heritage Site features a wavy façade with large pores reminiscent of honeycombs. Visit the roof top to take a closer look at the surrealistic colorful chimneys and enjoy the view of the surrounding neighborhood. Turn around and head south on Passeig de Gràcia toward Casa Batlló, another remarkable building designed by Gaudi. The local name for the building is Casa dels ossos (House of Bones) as its façade features a skeletal quality. The audio guided tour of the ornate building costs 16.50 euros and takes about 1 hour. Continue on Passeig de Gràcia toward Plaça de Catalunya. Many cafes line Passeig de Gracia and Rambla de Catalunya, offering a variety of tapas. Stop at La Tramoia for lunch. This popular lunch spot is situated on a lively corner with fantastic views over La Rambla and the Gran Via. Head to Plaça de Catalunya to board the Barcelona Bus Turístic. The double-decker bus serves as the main transport this afternoon. 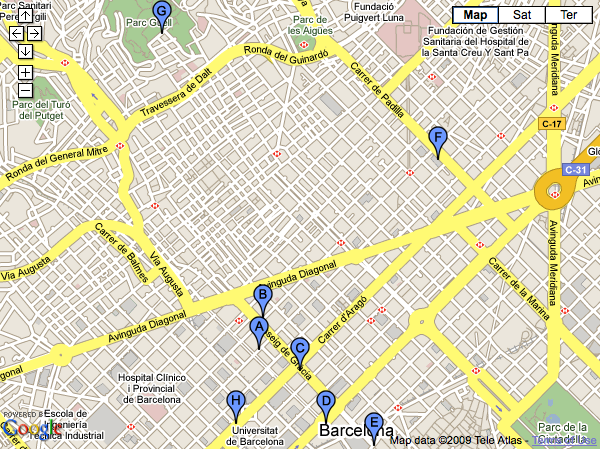 The 1-day bus ticket costs 21€ and offers a convenient way to see Barcelona’s most interesting and attractive sights. Buses leave from Plaça de Catalunya every 5 to 25 minutes and passengers can hop on & off at any of the tour stops. Hop off the bus at the 3rd stop of the tour. Here La Sagrada Familia comes in full view. The construction of this Roman Catholic church began in 1882 and continues to today. One of Antoni Gaudi’s most famous work, the architect worked on the project for over 40 years, devoting the last 15 years of his life entirely to the endeavor. A museum inside the church details the history and development of the Sagrada Familia and gives fascinating insights into Gaudi himself. Ride the 65 meter elevator up one of the spires of the church to take a closer look at the construction. After the tour of La Sagrada Familia, hop on the next Turístic bus. The second stop from La Sagrada Familia is Park Güell. Another UNESCO World Heritage Site, Park Güell is a garden complex inspired by the English garden city movement and designed by Gaudi. The serpentine bench on the terrace offers a resting area where visitors can take in the most complete view of Barcelona and the bay. Stop at the cafe at the rear of the terrace for an afternoon snack and take in the sights in the shade. Take in sights of the rest of the city on the Touristic bus ride back to Plaça de Catalunya. Dine at Cinc Sentits tonight. This contemporary Catalan eatery offers 2 tasting menus that change with the seasons and reflect what’s in season. A third surprise menu can be requested. The omakase or “trust the chef” menu includes wine pairings of the chef’s choice.